Recently, NCSY Education has been releasing some great Jewish infographics. You can see them here. 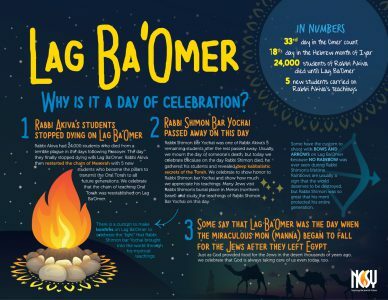 Their latest release is a new Lag Ba’Omer infographic and is just in time to help the scholar and layperson learn quickly about this special day on the Jewish calendar. 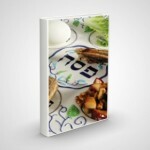 It allows one to briefly look at the infographic and find out what and why we are celebrating on Lag Ba’Omer. All in all, this is a great infographic to be aware of and share with your students and congregants of all ages! Likewise, you may suggest that people print this infographic and distribute to the visitors coming to attend your Lag Ba’Omer celebration. You can also gain greater insight into the meaning and significance of Sefiras Ha’Omer and Lag Ba’Omer by checking out the NLE Resources page here.